The Youth Arm of the New National Party (NNP) remains under the leadership of Judd Cadet, who is said to be actively involved and committed to youth development and sustainability. Elections were held on Sunday, 25 June 2017, at the Anglican High School. Cadet’s newly appointed executive team comprises Vice President K Ibrahim Robertson, Secretary Deslyn Douglas, Public Relations Officer Willan Mark and Treasurer Quinta Charles. Floor members are Kissie Jeremiah, Lystra Andrews and Shamon Dominique. Speaking to the rally on the Carenage, St George’s after being re-elected, Cadet affirmed that they are ‘ready and fired up.’ Without calling names, he indicated that while some young people from other political parties want to focus and debate on less important issues, his team is focused on mobilising persons to get registered to vote in the upcoming elections. Cadet briefly mentioned a survey regarding the challenges faced by youth, including unemployment and lack of opportunities. 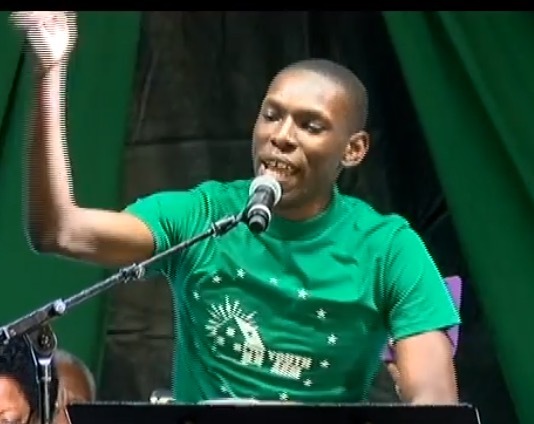 According to him, the survey showed that 65% of Grenada’s population is under the age of 40; hence, he believes that ‘this election is about moving forward,’ and giving youth opportunities. Cadet is confident that the NNP can and will continue to improve the standard of living of youth in Grenada.